Gutters are the primary mechanism for moving water off the roof and away from your home. 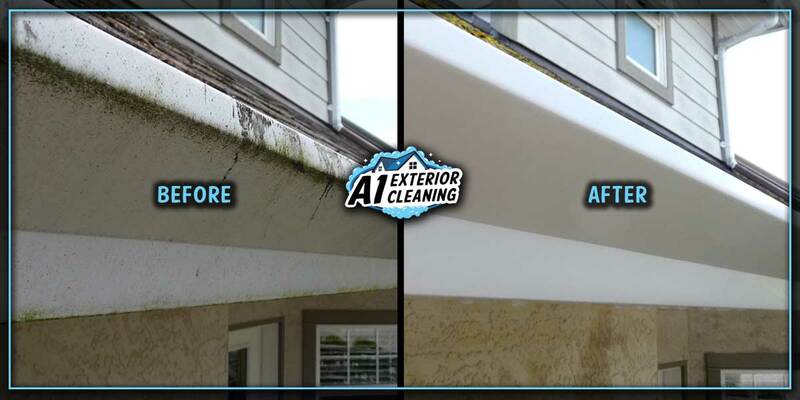 Overflowing water from clogged gutters will not only rot the fascia boards and stain the exterior faces, but also pour over onto the ground and seep into cracks of the foundation. Clogged gutters are one of the main reasons for flooded basements and leaky foundations. The best way to avoid these problems is to have your gutters cleaned regularly or talk to our professionals to find out if gutter guards may be right for you. Depending on the proximity of trees to your house the cleaning schedule will vary anywhere from 1-4 times a year for interior cleaning. 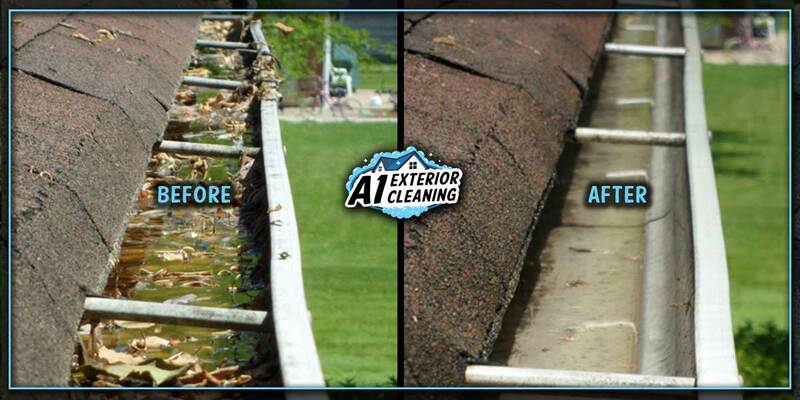 Outside cleaning will depend on overflow from clogged gutters. • Rainwater is efficiently channeled away from your home. • Avoids costly repairs/replacement due to flood damage. 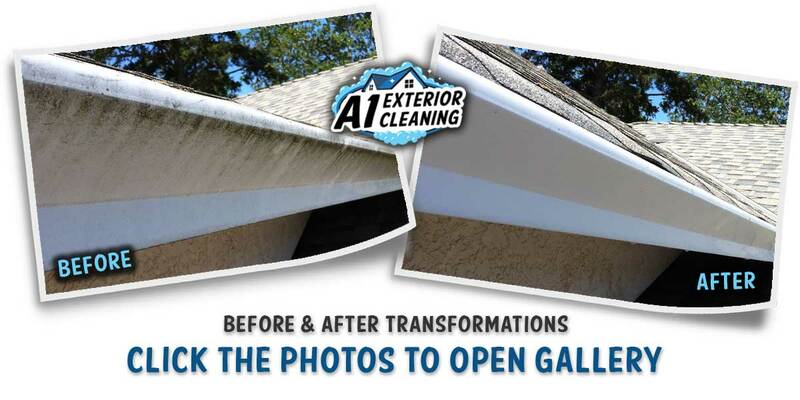 • Renews the beauty of your home (Increased curb appeal). 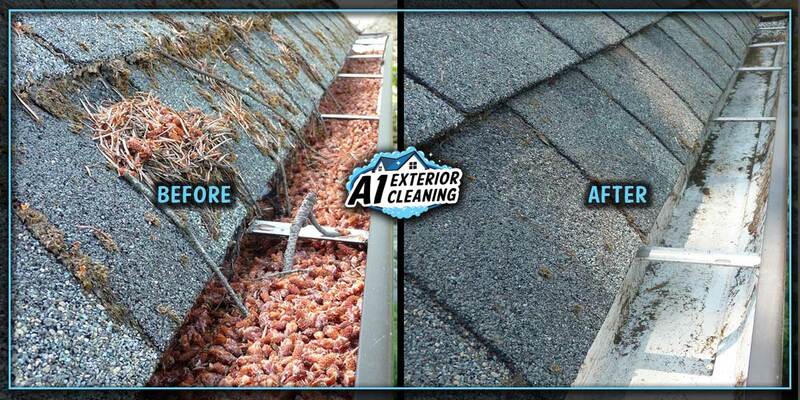 • Removes rodent/insect infestations nesting in the gutter. • Prevents gutters from overflowing and staining the facing. • Protects landscaping from backed up water and root rot. We harness the cleaning power of pure water. 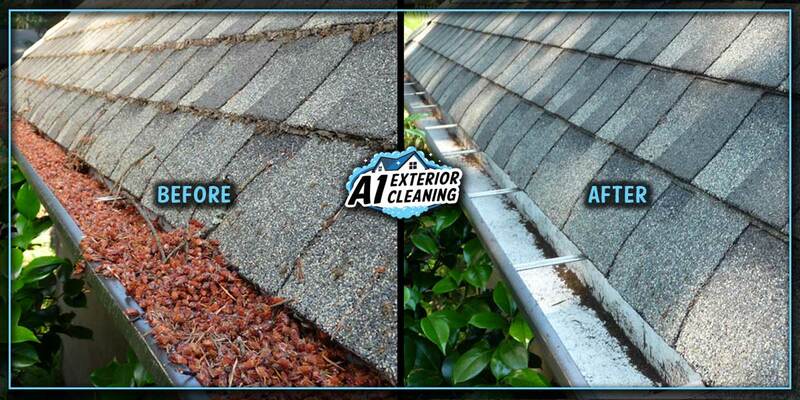 At A1 Exterior Cleaning we care about our environmental impact. That’s why we only use eco-friendly and biodegradable cleaners that are safe for people, pets and plants. 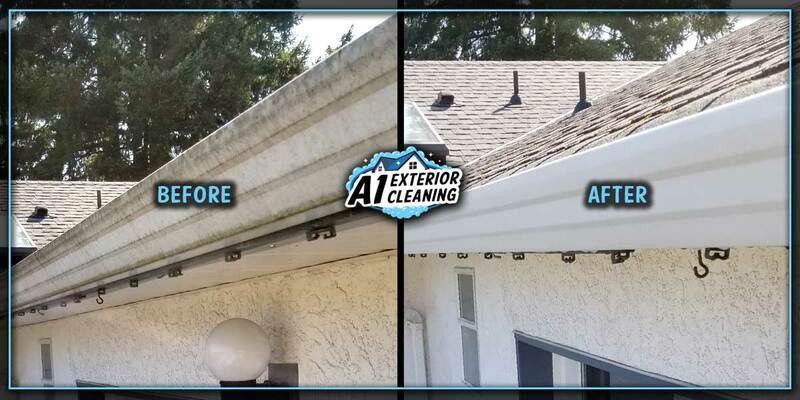 We clean the interior of the gutters without the use of any chemicals and only use a specially designed water-fed brush to gently clean the exterior gutters to restore that new look and increase your homes’ curb appeal. When booking to have my gutters cleaned, are the exteriors of the gutters washed as well? 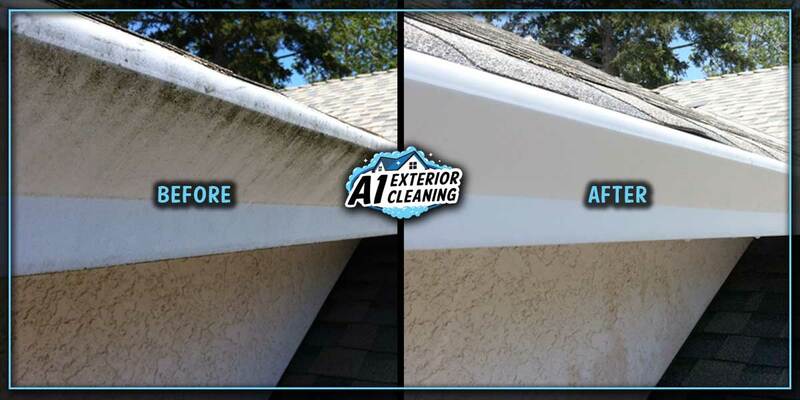 When a gutter cleaning job is booked it includes cleaning the loose debris off of the roof and valleys, and cleaning out the gutters as well as a full clean up. 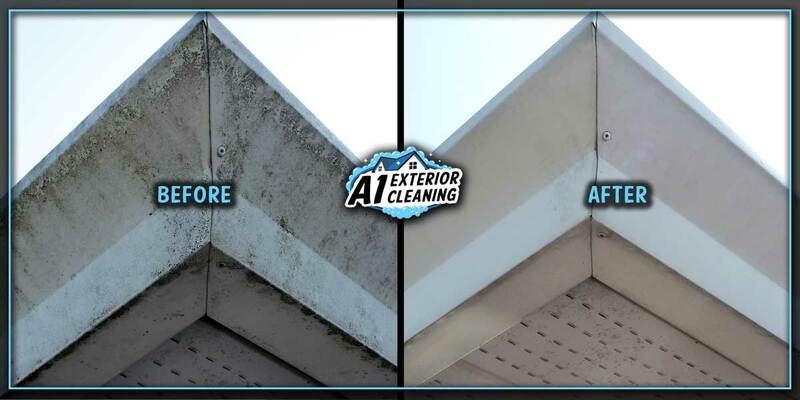 If you would like the exteriors of the gutters washed, then please let us know beforehand and we would be happy to book that in as well for a small additional charge.